Graduate of University Moratuwa Sri Lanka with BSc (Eng) Electronics and Telecom Engineering. MBA from University of Hull UK. A Richmondite . Diploma holder of Chartered Institute of Marketing (CIM) UK and Institute of Bankers Sri Lanka (CIB). Started career at Unilever Ltd followed by Nestle Lanka Ltd prior to graduation. 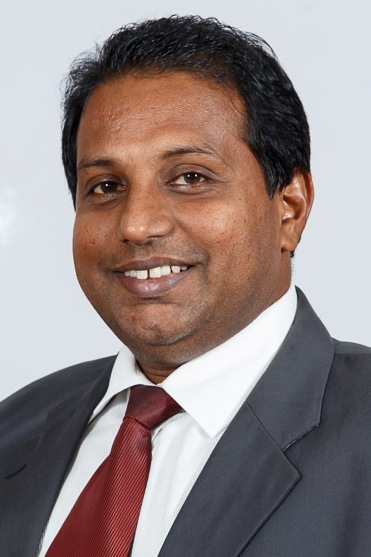 A Chartered Engineer who started engineering career at Sampath Bank as Systems Engineer followed by PillPos Software Plc London UK, Bank of Ceylon UK London Branch, Millennium Information Technologies ( MIT) , Dialog Axiata Plc , Infotel Lanka Ltd / Federation of IT Industry Sri Lanka , and Mobitel Pvt Ltd. Founder President of Moratuwa – Peradeniya Engineers Reunion. Member and coordinator of Presidential Task Force on English and IT Presidential Secretariat , Member of Knowledge Hub Steering committee Presidential Secretariat . Conference Chairman on NITC 2014 – ICT for Inclusive Development.